I’m writing this from home as the Lisle Library District will be closed for a full day today due to the official state of emergency. There are further postings being made on the library’s Facebook page. 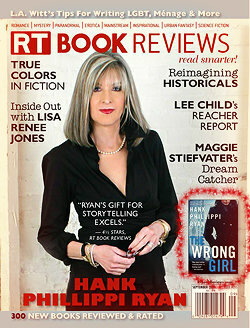 In an up-coming issue of Publishers Weekly there’s an interesting Q&A with noted western mystery writer Craig Johnson. I’m going to try to use such things as a reminder to me to highlight different mystery writers you may not know. If you haven’t had a chance to try Craig Johnson’s Walt Longmire series, you’re missing one of the best modern mystery writers working today. A Wyoming native, Johnson’s deep understanding and appreciation for the American West draws the reader in along with the mystery. The new TV series Longmire (now in its second season) is based on these mysteries, and we have that in our DVD collection as well — but start with the novels, you won’t want to miss this author’s way with words. The first book in the series is The Cold Dish. Click on the book cover to go to our catalog’s copy of the book. Click on the Craig Johnson’s picture to go to the author’s web site.